Use to dilute chemical irritants or to refresh red, tired eyes. Use to dilute chemical irritants or to refresh red, tired eyes. A must for every medicine cabinet! * Approximately 1.25 inches from base to lip. * Approximately 1.75 inches across the widest part of the oval top opening. * Just over 1 inch across the narrowest part of the top opening. 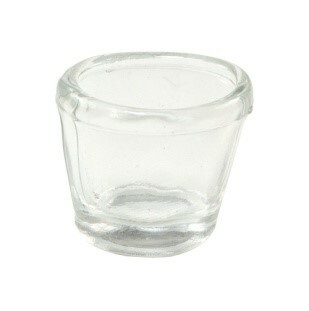 * The glass is rounded on the top. * One of the flattest cups we have seen. Clear glass cup only – no liquid is included.